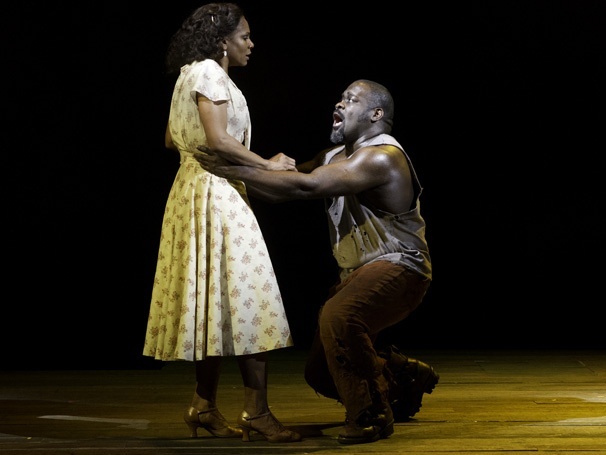 Intense struggle is on display in Diane Paulus’ revival (and retooling) of the classic opera Porgy and Bess. Adapted for a more standard evening of Broadway (ahem, running under four hours) by Suzan-Lori Parks and Diedre L. Murray, the production stars Broadway heavyweight Audra McDonald as Bess, a prostitute trying to turn her life around, and Norm Lewis as Porgy, the crippled beggar who gives her the love she needs to do it. The characters of South Carolina’s Catfish Row are destitute and scraping to get by. Bess has to battle the ties to the past she desperately wants to leave behind. And to top it off, there’s a wicked hurricane a-comin’. At the top of Act II, Bess’ fearsome pimp Crown, incredibly played by Phillip Boykin, returns from hiding from the police to remind Bess that he will soon be taking her away from the cozy life she’s made for herself in his absence. Bess, who has found tender love with Porgy and a sense of community with her neighbors in Catfish Row, has no intention of returning to her murky past. She sings “What You Want With Bess?,” an appeal to Crown, highlighting the notion that he can find a better, younger woman to satisfy him. McDonald’s delivery signifies the first time in a long time that Bess has stood up for herself. Of course, the concept of being denied only makes Crown desire Bess more, and despite her newfound inner strength, she is no match for his massive arms. As McDonald wails through the song, she and Boykin engage in a gruesome physical struggle. The gripping, pulling, and punching between McDonald and Boykin is raw and horrifically real. Yet the violence is not what makes the scene great; it’s McDonald’s unaffected singing throughout the brutality that creates this hypnotic juxtaposition. Credit also goes to Boykin, who is firmly committed to the viciousness of his character. However, McDonald’s unwavering operatic voice throughout this mayhem is astonishing. I guess four statues named Tony can’t be wrong. 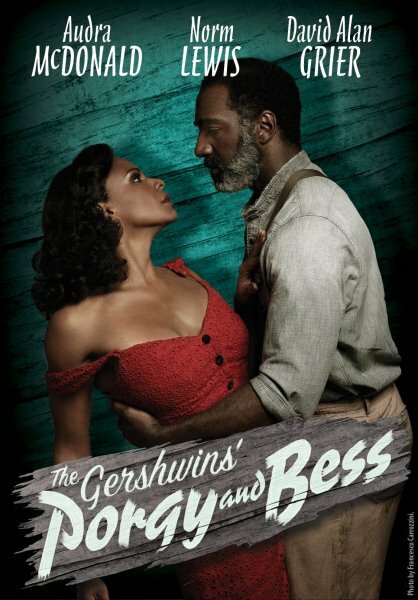 Porgy and Bess student rush policy: Beginning at 5 p.m. for evening performances and noon for matinees, one ticket per person may be purchased for $37, cash only. I’m curious about this show, but i’m not totally sold on it still. I only have so many spots to see shows on my limited time during trips, really torn about this one.